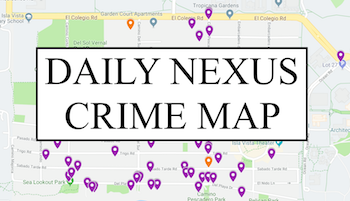 At Daily Nexus writers’ training, all potential Nexites are given a bible of codes and instructions, known as Nexustentialism, which they are instructed to consult in the event of journalistic crisis or controversy. The first paragraph under the packet’s “Ethics” section, an excerpt from the American Society of Newspaper Editors Statement of Policies, explains that the fundamental purpose of reporting “is to serve the general welfare by informing the people and enabling them to make judgments on the issues of the time.” The UC Board of Regents disagrees. Yesterday, I was among some 25 other students who were deemed worthy to speak with Board Chair Sherry Lansing and Regent Richard Blum during their visit to Santa Barbara. No photography or audio recording was permitted, and it was specified several times that the meeting was not to be reported. I agreed to stay within the confines of these regulations and am thankful to have this outlet, where I can speak to you not as an objective reporter writing a news story but as an editor exercising my right to free speech. Under the guise of fostering productive dialogue, Lansing travels among UC campuses selling the same washed-out “bad state, good regents” routine. It seemed almost as though she had memorized her answers before the meeting — which makes sense when you consider that she gave identical commencement speeches to Penn State in 2008 and University of Miami in 2011. Shaking her head in solemn solidarity, Lansing portrayed the state legislature as a heartless entity too powerful for the regents to sway but somehow defenseless against students with no discernable demands rallying for funding the state doesn’t have. I’ll gladly join forces with other willing students and advocate for sensible things from the people who have the power to grant them, but I’m not pointing my finger at the legislature. I’m staring at the self-righteous ex-business tycoons appointed to positions that allow them an array of financial and political opportunities. When it becomes a pattern for executive pay hikes to follow tuition increases, we shouldn’t be surprised that the board approved a new tax on student initiatives — with no input from students — to benefit the UC Office of the President. We should be outraged. In a time when the regents — who may serve consecutive 12-year terms — will offer no setting in which our words hold legitimate power, I encourage every student, professor, staff member and neighbor to utilize the Nexus as a vehicle to disseminate ideas and opinions. 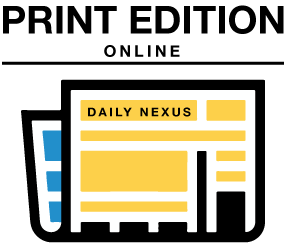 Send a Letter to the Editor of 550 words or less to opinion@dailynexus.com and tell us whether you feel you should be allowed to stay informed.